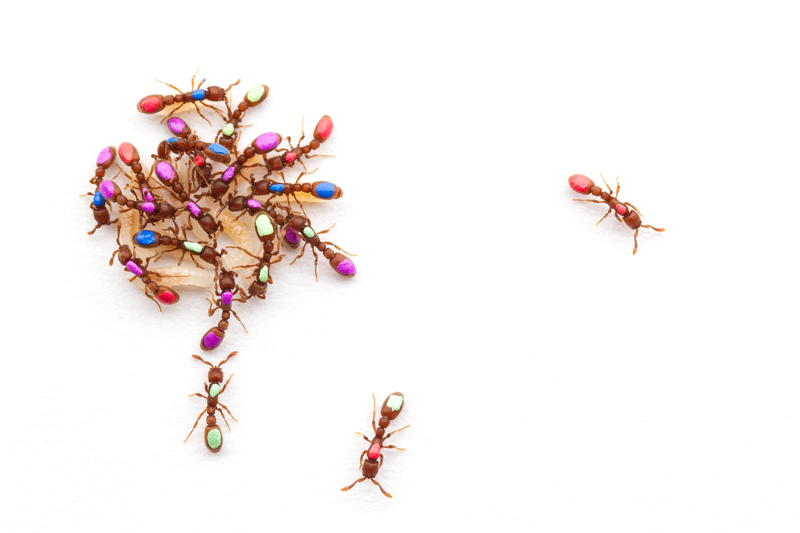 A team of researchers investigated ant colonies to look at the relationship between group size and social behaviors. They found that simply increasing group size, even if it doesn�t lead to division of labor, can benefit members of the group. Clonal raider ants, like those seen here, form a dense cluster in which ants care for the offspring while others sporadically leave the cluster to forage. Researchers marked the ants with individual paint tags for automated behavioral tracking. How did civilization begin? Where did the division of labor come from? Do successful societies need strong leaders? A team of researchers from Princeton and Rockefeller universities tackled those giant questions with some very small research subjects: genetically identical ants (Ooceraea biroi) that can live independently or in groups -- and have no queens. They found that simply increasing group size, even if it does not lead to the division of labor, can benefit members of the group. "Our findings show that there are some very significant and unexpected benefits that emerge even in very small groups, which could provide the critical steppingstone to allow for larger, more complex societies," said Christopher Tokita, a graduate student in the lab of Corina Tarnita in the Ecology and Evolutionary Biology Department at Princeton University. The researchers found that ant groups with as few as six individuals experienced significant benefits from group living, as measured by better surviving and faster growing babies. 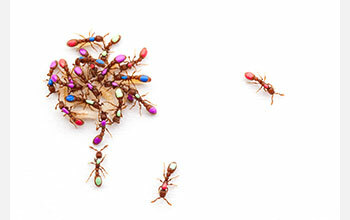 For the study, they used groups of ants ranging in size from one to 16 individuals. O. biroi was chosen as a subject because of its unusually simple social organization -- colonies have no queens, just genetically identical workers that reproduce simultaneously. In the beginning, the researchers assumed it was the division of labor that was key to success in the larger groups, however, they were surprised to find that this was not completely true. Division of labor contributed to -- but was not necessary to produce -- the observed increase in fitness with group size, said Tokita. "Instead, we showed theoretically that increases in group size alone, even in the absence of division of labor, could create benefits for these small colonies." Their findings challenge a popular belief about group dynamics: that strong groups require strong leaders. "Complicated behaviors, like the division of labor, can self-organize," said Tokita. "The ant species we used does not have a leader at all. Instead, all group members are workers and they each lay their own eggs." These findings have significant implications for understanding the evolution of social behavior. They show that "a lot can happen very early on and that what we think are hallmarks of complex societies could actually have originated in the simplest groups," said Tarnita.